We decided to spend the afternoon at Hemingways a couple of Sundays ago. It was the ideal day for it: the sun was finally out after many months of dreary greyness. 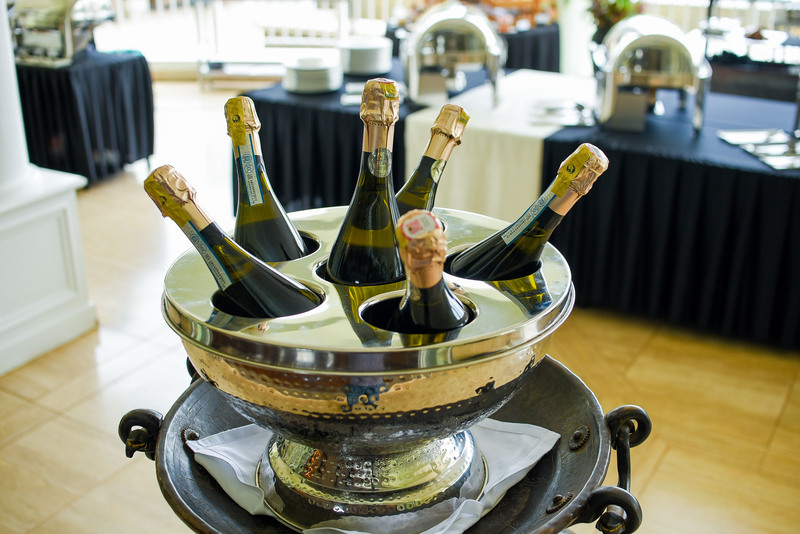 We were led to a table on the terrace, beside the fountain and the manicured lawn. On the opposite side of the fountain, by the buffet, Jay Sax Duet played their smooth jazz tunes. Hemingways is a very attractive hotel, with its long, elegant porticos, slender columns and pale green exterior. I commend the architects for drawing inspiration from the Augusta National clubhouse, on the world’s most famous golf course in the United States. It really does conjure an image of a colonial-style plantation house in the Deep South. The hotel has been open for just over five years now, and the garden has matured, too. Soon after we sat down, our waitress, Eva, brought over the first of many glasses of Prosecco. She did a fine job topping us up throughout the afternoon — our glasses were never empty. We were more careful to pace ourselves with the food, though, to sample as much of it as possible. The selection was impressive. 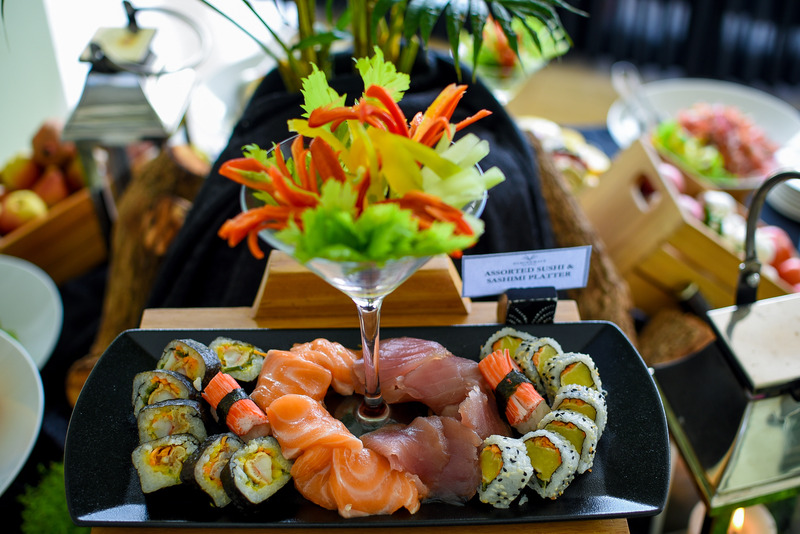 There were plenty of options for starters in the salad section — including a range of sushi and sashimi platters, an assortment of cold cuts and cheeses, and prawn cocktails salads. Those waking up late after a heavy Saturday night and craving a hearty breakfast were covered, too, with an egg station, sausages, bacon, grilled tomatoes — the works. The pastry section caught my eye as soon as I walked in. 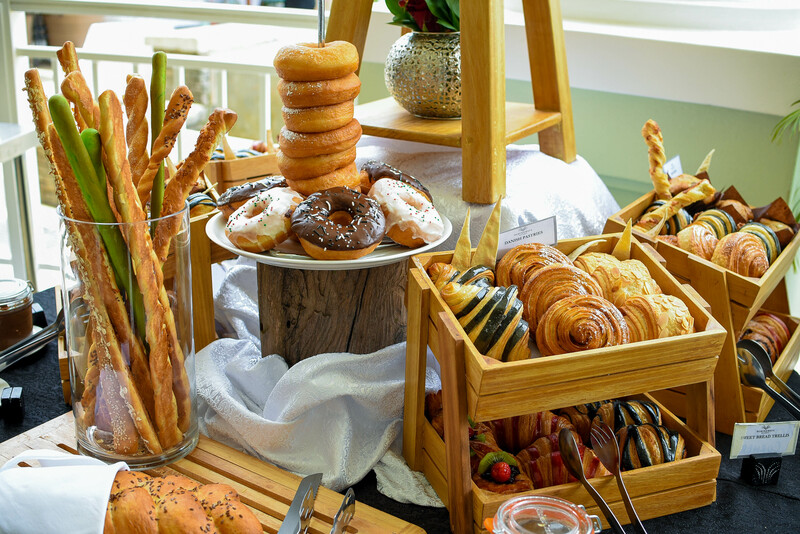 Piled high in wooden crates were all sorts of baked treats, from pain au chocolat, cinnamon rolls and Danish pastries, to muffins, glazed doughnuts and artisan breads. In the opposite corner were more sweet things: chocolate fondue with marshmallows, chocolate mousse, wild berry crème brûlée and chocolate moca pudding. 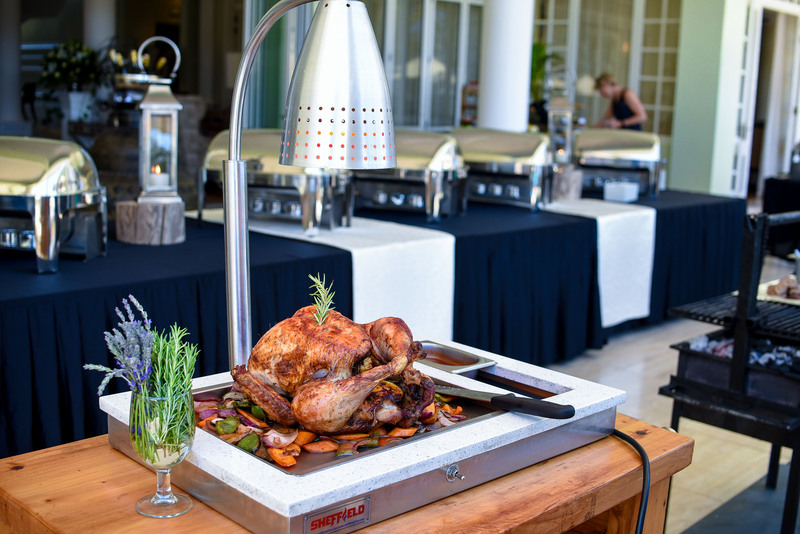 As I stood there weighing my options, probably looking quite daunted, I was greeted by the executive chef Archie Alvin Athanasius (trying saying that quickly after a few glasses of Prosecco) and the food and beverage manager Wilberforce Tuvei. Archie has been at Hemingways for four years, after stints as head chef at the Nairobi Serena, Mandhari Restaurant and the Kampala Serena, where he once prepared room service for the Queen of England. He told me that he constantly tinkers with the Sunday brunch menu, always adding new items. 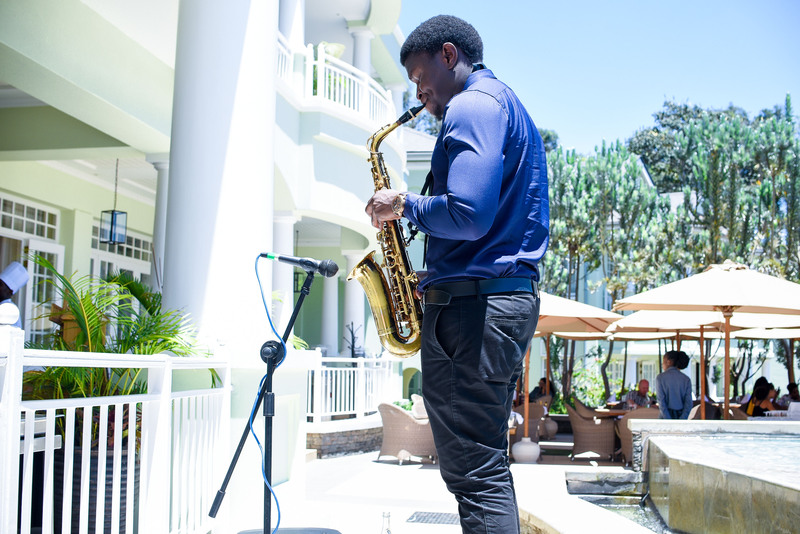 The brunch and jazz is on every Sunday between 12 and 3.30pm, and is KShs 5,500 per person (with limitless Prosecco, don’t forget) and KShs3,000 for children between 6-12 years.